Even after 3 years, this album is still astounding. As an album it is a deep and varied listen; Individual tracks when mixed up, Autonomic style, stand out for their crisp clear, yet emotionally charged sound. You certainly don't need to to be a D&B head to appreciate this stuff. While half the tracks are underpinned by a 85/170 beat, it is primarily half-tempo, often very spacious and syncopated; frequently more evocative of early Autechre than, say, Bukem. Meanwhile other tracks explore similar sonic territory at tempos that might be entirely unfamiliar to those steeped in D&B. Anyone who has ever chilled out to any sub-genre of electronic music should try this long-player out. This album is pure class. Every track offers something different, new and original. A real listening pleasure. 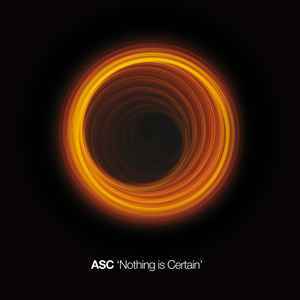 ASC is pushing the boundaries here and moving things forward. Experimental for all the right reasons. Gonna have to get this beauty on vinyl too!